One Sunday is almost here! 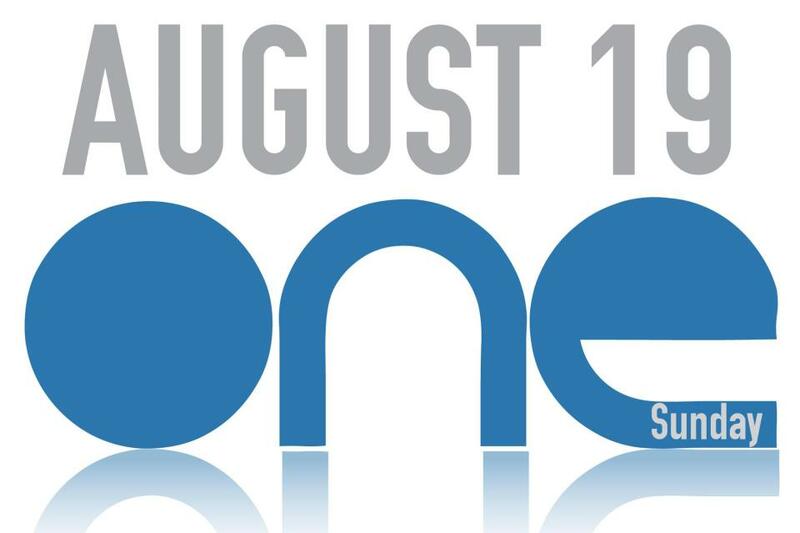 Make sure to be at church this Sunday (August 19) for One Sunday. We’ll have two services at 9:00 and 10:45 a.m.
Each year we identify a special Sunday in August to re-gather everyone from summer travel, and invite our friends who are not attending church. If we all show up on the same Sunday and bring friends who need to be in church, the church gets full, God gets glorified and people’s lives are changed. Last year we had our largest non-Easter crowd on One Sunday, and dozens of people responded to the salvation invitation. I can’t wait to see you at One Sunday.